U.S. Senator Marco Rubio (R-FL) is at Gapway Groves in Auburndale today to see firsthand the plague facing Florida’s citrus industry. 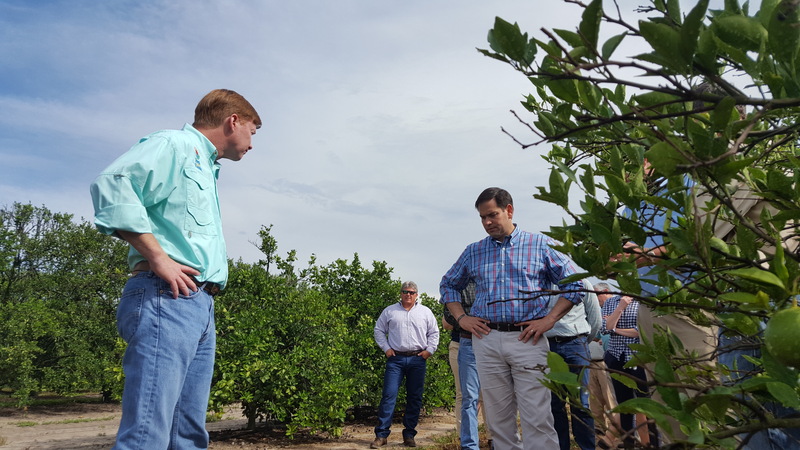 Senator Rubio is joined by Florida Commissioner of Agriculture Adam Putnam on a tour of a grove impacted by citrus greening. Both Senator Rubio and Commissioner Putnam are key advocates in the fight against HLB and have worked on both the federal and state levels to provide assistance to Florida citrus growers. Stay tuned to CitrusIndustry.net for more details to come.